Grab on to your handlebars & handlebar mustaches, it’s time for the yearly abuelo of all Bike in Shapes…the Tour de Shapes (aka a longer summer weekend ride). 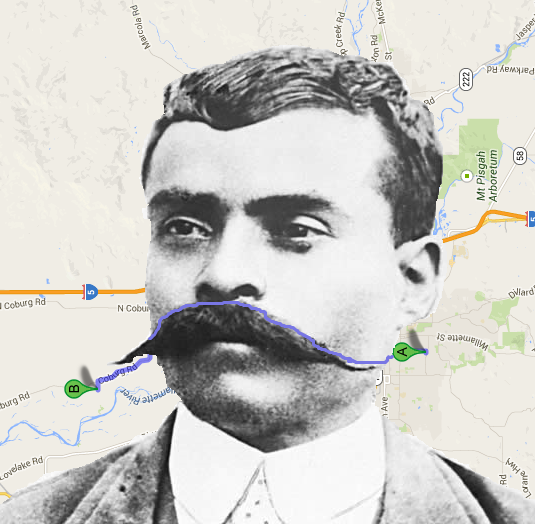 Next Sunday, we’ll start from Arriving By Bike at 10:30am, and trace Zapata’s Mustache out to Agrarian Ales in Coburg. Viva la peddling revolucions!